The LEHB Series LED High Bay fixture is the lighting solution for a wide variety of applications and mounting heights. Precision-designed optics and a choice of lumen outputs and color temperatures make the energy-efficient LEHB the ideal solution for industrial, commercial and other high bay applications. LED technology allows power and light levels to be customized to meet both energy and design needs. The LEHB gives budget conscious customers a very reliable LED solution. 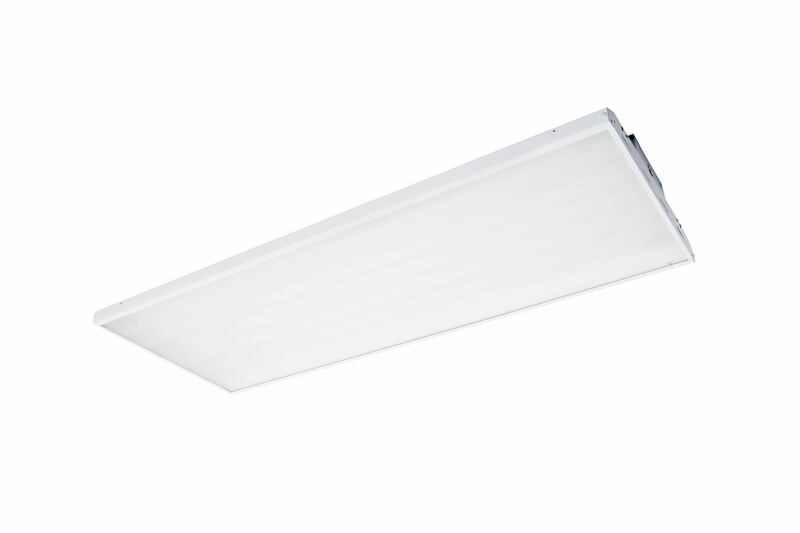 In addition to its low initial cost, the ﬁxture saves up to 60% in energy costs over HID. The LEHB performs effectively in industrial environments where maintenance plays a costly and time consuming role in the operation.